Compared to ground-based telescopes, Hubble is not particularly large. With a primary mirror diameter of 2.4 meters (94.5 inches), Hubble would at most be considered a medium-size telescope on the ground. However, the combination of its precision optics, location above the atmosphere, state-of-the-art instrumentation, and unprecedented pointing stability and control, allows Hubble to more than make up for its lack of size. 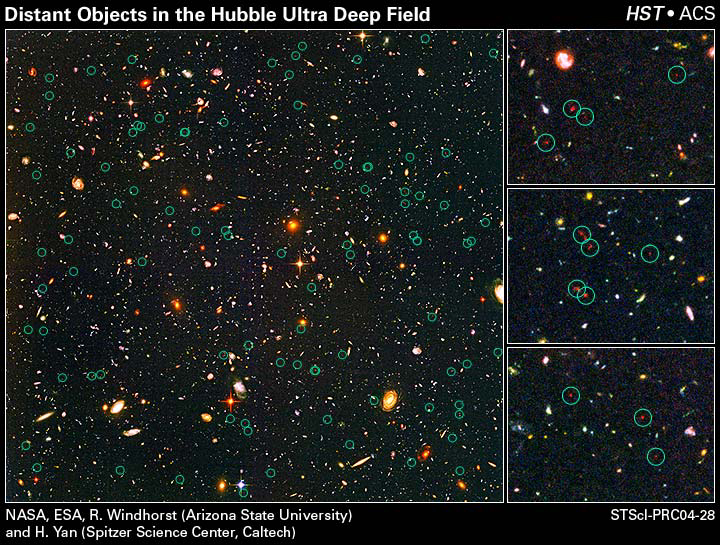 The most detailed look at the farthest known galaxies in the Universe has been obtained by imaging from the Hubble Space Telescope. Spectroscopically, Hubble has detected several atomic constituents in the atmosphere of a planet outside our solar system, an enormously difficult measurement and a “first” in this critical and growing field whose ultimate aim is to look for places elsewhere in the Universe where the conditions for life exist. NASA Administrator Mike Griffin has announced a fifth servicing mission (SM4) to Hubble in 2008. 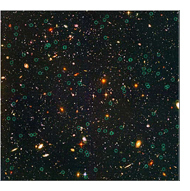 During SM4, the installation of two new instruments — Cosmic Origins Spectrograph and Wide-Field Camera 3 — will provide Hubble with more powerful capabilities than ever before. Other mission activities include repairing the STIS instrument, and replacing the batteries and the gyros. + Read More about SM4 Objectives here.